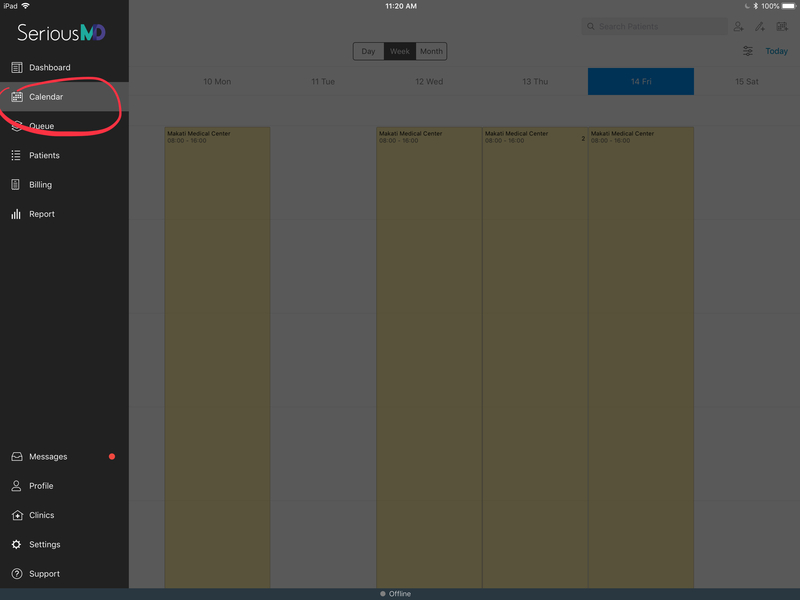 How to input in calendar that I have no clinic on the SeriousMD app? 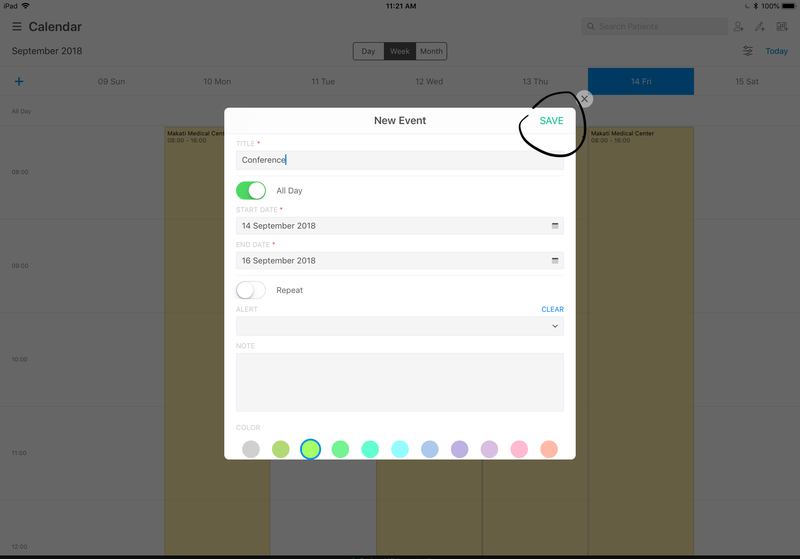 How to put holidays, conferences in the calendar of SeriousMD on iOS? Enter the name of the event, like “No Clinic” then set the date. If you’ll be out for the whole day, just turn on “All Day” like in the image above. Hit the save button and it's now saved. So next time you try to schedule a patient for that day, a warning will show up to indicate the schedule conflict. It's similar to the iOS instructions above. Add your event and save.